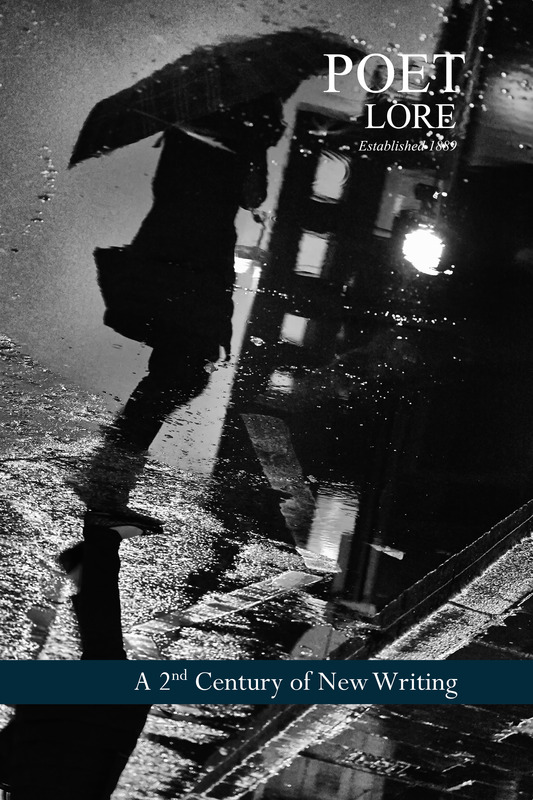 In our cover photo, someone’s walking toward a bus stop—umbrella raised against the rain—or so it seems. Turn the image upside down, and a ground shift occurs: suddenly we see we’ve been looking at wet pavement, the reflection of a person, not a person at all. Is the scene less real for that, or did embracing an illusion offer a perspective we’d otherwise have missed? This issue’s opening poem, “We Are a System of Ghosts” by Lindsay Tigue, meditates on mysteries of city life, of figures and places that are familiar and vanishing. Poems of displacement follow, rendering emblematic moments of confusion and connection. Immigrants (village to city, continent to continent) struggle with new customs, new languages, new weather—and strangers find themselves drawn close by chance. In Jason Tandon’s “Kindness,” for example, bystanders sing to a gravely injured boy as they wait for the ambulance. Like the poem itself, the song reflects what may be inaccessible in any other form. Poetry may draw us in with novelty, but it carries us through shifts in thought and feeling by making them our own. Two essays in this issue consider ways it happens: Leslie Ullman explores how speculative gestures (questioning, openness) include readers in a poem’s act of dis-covery, while Gerry LaFemina argues that readers invest in imaginative assertions as they unfold. In other prose offerings, Tony Hoagland bears witness to the deep humanity of Alicia Ostriker’s voice; Sandra Gilbert and Sunil Freeman place new books by long-established poets in literary context; and Debra Wierenga reviews three debut collections. In keeping with Poet Lore’s historical commitment to world poetry, we’re proud to feature work by Uruguay’s Idea Vilariño (1920-2009), introduced and translated by Jesse Lee Kercheval. The subject, here, is troubled and troubling love, love that doesn’t last. “I erase you,” she writes—a devastating claim—as her lover reappears on every page.